Today I was putting together packets for students at Finn's school and the fire alarm went off! 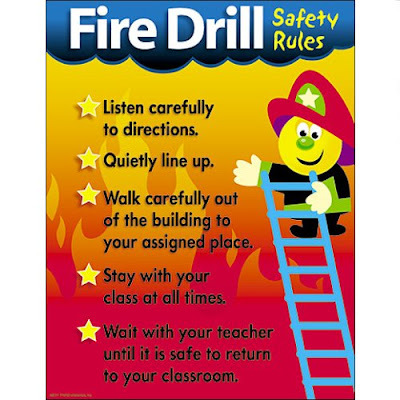 I was suddenly reminded why children practice being calm during fire drills; they are a loud and chaotic school scenario! I admit I froze and panicked just a little...and frankly that isn't the best choice when you are carrying a load of 340 paper packets that could go up in smoke in a split second. Honestly I think the packet posse were the last people out of the school, but on the upside the kids were all calm cool and collected.